They cannot wait anymore. 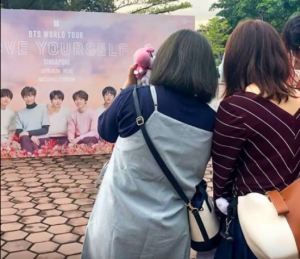 BTS Army or the multitude of fans of the most popular South Korean K-Pop band, BTS were so excited for the “Love Yourself” concert that they queued at the event venue days before the most-awaited moment. 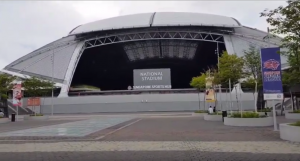 BTS or the Bangtan Boys will be performing on Jan 19 at the National Stadium, where 55,000 concertgoers are expected to attend. This is the second time for the septet to take Singapore by storm. The first one was on December 13, 2014, at The Star Theatre. Tickets for BTS World Tour “Love Yourself” Singapore is fully sold out. 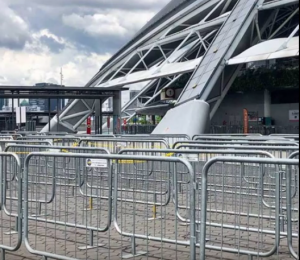 Countless barriers were already set up around the 23 gates of the stadium preparing for the biggest event every ARMY has been waiting for. Many fans were seen at the National Stadium, checking on and taking a look at their way in and way out to avoid hassles on the actual day. Some fans planned to come as early as six in the morning to line up very early to secure their places ahead of time. Ticket holders of the standing pen were assigned queue numbers to get away with overnight queuing due to safety concerns of the patrons. Standing pen queue numbers will be generated by the ticketing system and printed on the tickets. Entry into the venue for the standing area is sequential and will be based on assigned queue numbers printed on your ticket. Gates will be opened only at 12:30 PM, while the main event’s time will start at 7 PM. Singapore Sports Hub strongly advised the attendees to use public transport and arrive early. The 100PLUS Promenade encircling the National Stadium will be inaccessible to the public from 6 PM on 18 January 2019 onwards. On the day of the mega concert, fans can line up to have access to BTS Studio, where fans have the chance to enjoy music from the group and use the photo and video booths to take and print pictures with standees of the group members. There will also be merchandise booth where the Army can buy BTS lightsticks, T-shirts, posters, and other BTS souvenirs. 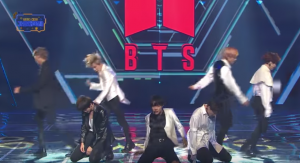 One BTS merchandise that has become a big hit with the fans is the Army Bomb, the official lightstick of the group which will be used in the ‘lightstick synchronization’ during the concert. Fans came all the way from neighboring Malaysia, Indonesia, and other countries spent hundreds or thousands of dollars to be with their idols. The concert tickets went on sale on October 27 last year. Within four hours the tickets have been sold out already. 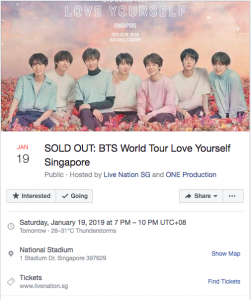 There were reports last year about the surge of ticket prices up to S$12,000 due to tickets resold by scalpers and unauthorized online resellers, taking advantage of ticket scarcity and how would fans succumb to desperation. This brought the attention of Singapore Police Force that they warned the Army not to be scammed by buying from the authorized outlets only. The South Korean boy band BTS has performed in six concert tours around the world. 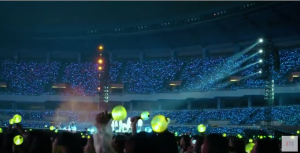 BTS World Tour: Love Yourself is the third worldwide concert tour that began in Seoul last August 2018. 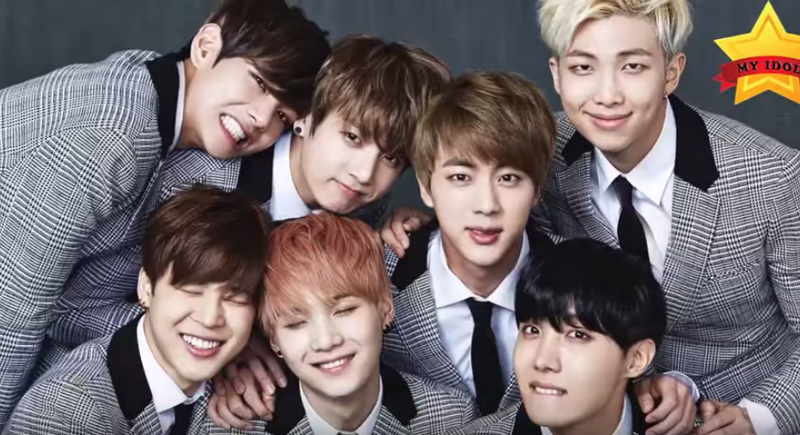 Their first concert tour was BTS Live Trilogy – Episode II: The Red Bullet in 2014. Their next stop after Singapore is Japan, then Hong Kong, and will end in Bangkok.